Austin, Texas, May 17, 2012 — CynergisTek, an authority in enterprise security solutions for healthcare organizations, announced today that the company has added three new members to its team of consultant leadership: Neil Buckley, Eric Nelson, CIPP, CPHC and S. Arnold “Van” Zimmerman, JD, MBA. These three tenured and dedicated experts will support CynergisTek in its continued efforts to provide high-value and high-impact privacy and security solutions and services amidst high demand and company growth. 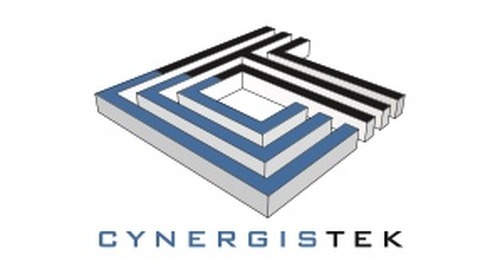 To support this growth, Buckley has joined CynergisTek as its new vice president of Technical Solutions where he will lead the company’s channel partner program, the development of support services that foster client success with CynergisTek’s partner technologies and new technical solutions innovation. He joins CynergisTek with 22 years of IT experience, most if which were focused specifically on deploying information security and risk management solutions in the manufacturing, financial, insurance and healthcare industries. In addition to direct design and deployment, Buckley has several years experience delivering managed security services and consulting engagements. For the past 10 years, he developed security and risk management solutions for Partners HealthCare System. As part of CynergisTek’s continued commitment to providing consulting and advisory services to the healthcare industry, the company has added Nelson and Zimmerman as contributing principals on its existing team of expert consultants. Nelson brings over 20 years of experience in the areas of privacy and information security compliance and breach mitigation. He has participated on legislative and regulatory committees serving as an advisor to local and state governments, and has consulted many healthcare organizations, including The Privacy Consortium, where he is an active member and frequent speaker on the subject of privacy compliance. Nelson will lead the development and delivery of CynergisTek’s privacy services and solutions, including retained privacy officer services, risk assessment, privacy program enhancement and remediation, policy development, training and awareness and breach mitigation programs. Zimmerman joins CynergisTek with over 15 years of experience working in a large health system in various management and governance roles. He was the organization’s first Information Security Manager, and after assuming roles as Director of Audit & Compliance and Privacy Officer for the health system, he developed, implemented and managed the enterprise compliance program for HIPAA security, and kept it current through the findings from the audit process and in response to regulatory and legal (including case law) changes. His certifications include CIA, CISSP, ISSAP, ISSMP, SCSA/ SCNA, and MCSE. Zimmerman will lead the enhancement and delivery of CynergisTek’s privacy and security auditing services and solutions, an area of growing importance in the era of heightened enforcement. CynergisTek is an authority in healthcare Information security and privacy strategy and program management, compliance and risk, technical services and managed security solutions for the healthcare industry. The firm offers practical, manageable and affordable consulting services for organizations of all sizes and complexity. Using an organized, planned and collaborative approach, CynergisTek applies multidisciplinary expertise to serve as partner and mentor, to enhance the consulting experience and, ultimately, clients’ compliance and business performance. CynergisTek participates in and contributes to HIMSS, AHIMA, HFMA, HCCA, AHIA and other industry bellwether organizations. For more information visit www.cynergistek.com, call 512.402.8550 or email info@cynergistek.com.